Sports and Concussions – Playworks Physiotherapy. Because Play, Works. Our site is brand new. We are working hard to add all of the new features and information for launch on April 1st. We are excited to be a part of this community and look forward to seeing you! PlayWorks is a Complete Concussion Management certified clinic and offers both concussion baseline testing and post-concussion centre. Concussion baseline testing is a 45 minute session that assess all the areas that are commonly impacted by a concussion. This provides information on where your child is at when they are healthy, so in the event of a concussion, we know how to get them back to their full potential. Our physiotherapists also provide education on what to do if you suspect a concussion and important signs to look out for. After a concussion, we can start rehab and education right away to help manage symptoms and get your child or teen back to school and sport as safely as possible. We teach the kids how to listen to their bodies and give techniques to help make them feel better. 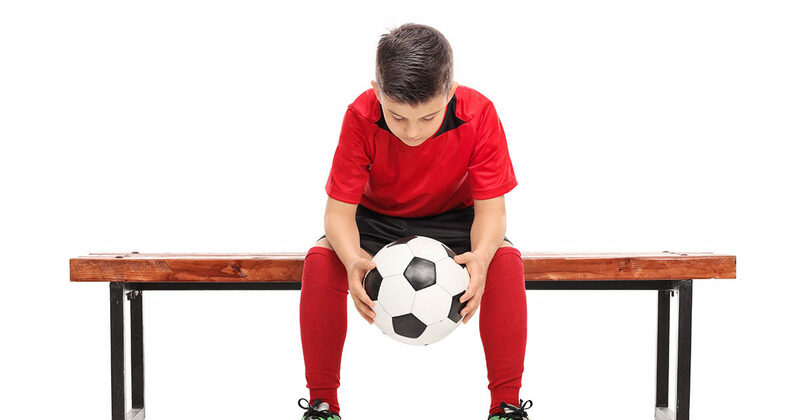 Optimally, we’d like to work with your child before an injury occurs. Screening overall muscle function and movement patterns using NeuroKinetic Therapy (NKT). Our physiotherapists will provide strengthening exercises or movement based activities to prevent future injuries and improve sport specific strength. Pain that kids experience can be related to growing. Our physiotherapists can determine what is causing the pain, provide exercises, stretches or other treatments to reduce pain and improve movement. After being casted, joints stiffen up and muscles get weaker. Physiotherapy can help make sure that your child gains full range of movement back, builds appropriate strength back and prevent compensation patterns. This is a condition that is common in growing kids, especially adolescents. The muscles that attach at the heel put a lot of tension on the area, creating irritation and pain. Our physiotherapists can determine which muscles are creating the issue and fix problem at the source using a technique called NeuroKinetic Therapy. This is a similar condition to Sever’s Disease, except at the knees. The tendon that attaches just below the knee is putting excessive tension on the bone, leading to pain. Our physiotherapists can identify the muscles involved and solve the issue to eliminate pain. These may happen from a fall or accident during play. They can also develop from muscle compensations that can occur in the body. Our physiotherapists can help prevent muscle strains by screening your child’s movement and muscle patterns. They can also help decrease pain after a muscle strain and ensure proper recovery to return to activity. This can be caused from several different sources such as acute injury, growing, overuse or muscle compensations. In the initial assessment, the physiotherapist can determine the source of the pain and create a plan to get rid of it! Rehab after an ankle sprain is important to ensure the ligament has healed appropriately, strengthen the ankle to improve stabilization and to prevent future ankle sprains from occurring. What will often happen if an ankle sprain goes untreated is the child will recurrently sprain the same ankle. After surgery physiotherapy can help get your child moving again, decrease scar tissue build up, improve strength and confidence. Privacy is very important to us. We will never send you spam or any type of solicitation from third parties of any kind. PlayWorks Physio is the new paediatric physiotherapy clinic in the Tri-Cities.